Who can use this Agreement for Sale and Purchase? 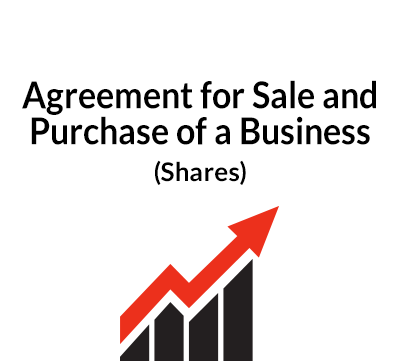 Anyone who wants to buy or sell a business or the assets comprising all or part of a business can use this agreement for sale and purchase. A sale and purchase agreement (often known as an SPA) is a very practical document. It contains a list of the different types of assets being sold and the purchase price. It also has warranties from the seller about the accuracy and completeness of the information. The price and it calculation: this may include stock and other items that have to be valued and agreed before the sale is completed. Payment terms. It is not uncommon for a purchaser to withhold part of the price for some months. Warranties: the seller will give warranties bout the business as well as a disclosure letter that e.g. refers to any claims or problems that the buyer should know about. And the buyer needs to get access on a confidential basis to do her own due diligence on the business, accounts and other records. Completion: details of the action needed when the deal is finalised should be set out: handing over documentations, transfers of contracts, employment issues etc. need to be considered carefully. Notifying customers and suppliers can be important for continuity and this needs a co-operative approach between seller and buyer. Restrictions on completion or poaching of staff are often imposed on the seller. a general clause addressing further assurance, variation, the scope of the agreement, representation, severability, assignment and third party rights. ContractStore supplies templates and is not a law firm. But experienced lawyers have written all our templates. So, we can arrange legal assistance for customers who need special terms in one of our documents or a bespoke template. . For more information see our Legal Services page. 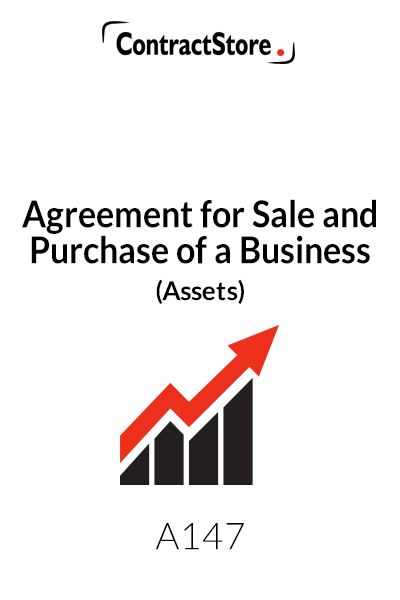 This agreement is designed for use when the assets of a business are being sold. The transfer of a business is a complex matter and it is common for agreements of this type to run to 50 pages or more. Moreover, as every business is different, the agreement needs to be tailored to the particular circumstances of the transaction much more than with some other types of agreement. While our agreement may be suitable as a basis for a relatively simple transaction – e.g. between two sole traders, it shall still need to be reviewed and revised carefully to deal with the specific situation in which it is being used. In addition, there are potentially quite complex tax issues involved in the sale and purchase of a business and our document does not deal with these. Advice from lawyers and accountants is therefore considered essential on any business transfer. The basic concept is quite simple: the owner of a business wants to sell it to a third party for an agreed price. In reality, it is the assets of the business that are being sold – not only physical stock and equipment but intangibles such as goodwill and the existing contracts with suppliers and customers, customer lists etc. Business premises and the employees may also be included. 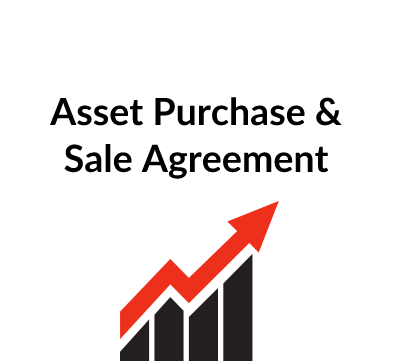 Under our agreement, there is a list of the assets being sold and the assets excluded from the sale shall be identified. Our document assumes that money owed by debtors of the business before the business is transferred will be collected by the seller and that he will also pay all the creditors. There may, however, be some exceptions – e.g. if a deposit is received from a customer before the sale and the buyer has responsibility for supplying the goods to which that deposit relates after he has taken over the business. This clause contains a number of words and phrases, which are used throughout the agreement. Each defined term should be looked at quite carefully in an agreement such as this, especially when the defined term is describing a group of items, e.g. the type of contracts which are being transferred to the Buyer or the equipment or intellectual property which is comprised in the sale. Clause 2.1 sets out the different categories of assets, which are being sold, and it should be noted that in the following clause 3 the sale price is divided amongst these categories. 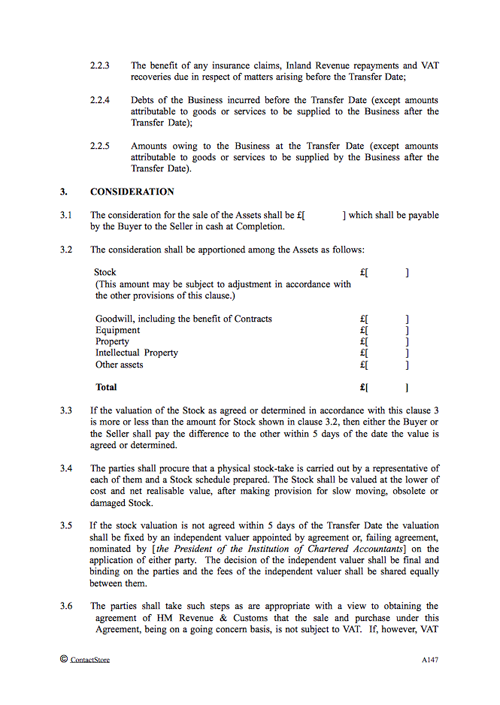 Clause 2.2 contains a list of assets which are excluded from the sale. In our contract cash at the bank, money owing to creditors, and money owing to the Business at completion are all excluded from the sale. If the debtors and creditors are being taken over by the Buyer then this clause will need to be amended and the agreement will need to be revised to reflect those changes – and this, of course, will affect the price. Clause 3.1 specifies the price payable for the assets which are being sold. Our document assumes that the full purchase price or consideration will be paid on completion. Sometimes payment is made over a period, in which case the wording would need to be adjusted. Clause 3.2 divides the price amongst the different assets. There are important tax considerations here which need to be discussed with an accountant when the agreement is being negotiated. For example, there is no stamp duty on assets which pass by delivery whereas property does attract stamp duty land tax when it is sold. There are also VAT considerations – the sale of a business on a going concern basis should not attract VAT but here again specialist advice is essential. Our clause 3.6 briefly refers to VAT but this may require adjustment depending on the situation. The rest of clause 3 deals with the valuation of stock. 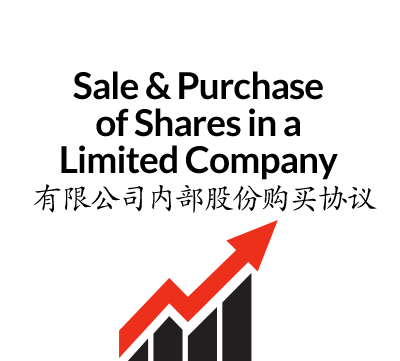 There will be a physical stocktake on the date that the sale is completed and, if there is no agreement on the valuation, clause 3.5 provides for an independent valuer to be brought in, whose decision will be final. Depending on how the parties want to deal with this valuation, there is likely to be payment for stock on completion and that figure may be adjusted once the stock valuation on the Transfer Date has been finalised. Although it is quite common for an agreement of this type to be signed on the same day that the business is transferred, this clause contains some provisions which will apply if there is a time-gap between signature and completion. Clause 4.1 gives the Buyer the right to examine the books and records of the Business and clause 4.2 requires the Seller to carry on business in the normal way until completion. There is also an optional provision, which gives the Buyer the right to veto any abnormal contract. The completion of a sale involving the transfer of assets can be a fairly complex activity with a lot of documents and records being handed over as well as formal assignments of existing contracts, deeds transferring property, etc. Our contract has several sub-clauses which cover these matters, but which will need to be tailored to fit individual circumstances. Clause 5.3 deals with the obligations of the Buyer, which are primarily to pay the agreed price. It is clearly essential that this is done by means of a bank draft or a bank transfer. The final part of clause 5 deals with the possibility that some important item is not dealt with satisfactorily at the completion date. The party who is not at fault then has the right either to defer completion or carry on with completion so far as it can or, if the problem is sufficiently serious, he can terminate the agreement. Once the Business has been transferred the Seller undertakes in clause 6.1 not to continue to use the business name, etc. The next two clauses deal with practical aspects of notifying customers and suppliers of the change of ownership as well as the employees. The remainder of the clause covers more general aspects of liaison, which might be needed at a later date while clause 6.5 contains a restriction on the Seller preventing him from competing with the Business after completion. Here it should be noted that legal advice is important when considering such a provision since the law is complicated and special care is needed when drafting this type of clause. As, in our contract, the amounts owing to the Business at Completion remain with the Seller, this clause confirms that position and contains wording which deals with the possibility of a debtor paying the Buyer rather than the Seller. There is also a requirement that the Seller does not start legal proceedings against a debtor without giving the Buyer notice and the right to buy the debt. This deals with the transfer of the existing contracts of the business to the Buyer. Under this clause, the Buyer takes over responsibility for performing those contracts, and gives an indemnity to the Seller – i.e. the Buyer will bear all the costs if any claim is made against the Seller by the other party to one of those contracts. All existing contracts should be formally assigned by the Seller to the Buyer. This will usually require the consent of the other party to the contract and there may be a formal agreement which needs to be signed on completion – see clause 5.2.4. We have a form of Novation Agreement that could be used in this situation – see our document A142. It sometimes happens that consent for an assignment cannot be obtained. This can present problems and the wording of clause 8.2 is designed to try to bypass the problem by saying that the Seller will hold the contract in trust for the Buyer in certain circumstances. This is not, however, an entirely satisfactory solution from either a legal or commercial point of view. Clauses 8.3 to 8.5 deal with the transfer of employees. Under the Transfer of Undertakings (Protection of Employment) Regulations 1981, as amended and updated, when a business or part of a business is transferred from one party to another, the employees of that business automatically transfer to the new owner who becomes their employer and our clauses deal with this matter, albeit quite briefly. Under the law, the Seller must give details of all employees as well as details of any legal actions or disciplinary procedure relating to them in the preceding two years to the Buyer. If an employee is dismissed for a reason connected with a transfer then it will be treated as unfair dismissal. Specialist advice should be obtained, especially if the Buyer does not want to retain all the employees. Outgoings such as rent, water rates, telephone, etc, need to be apportioned at the Transfer Date between the Seller and the Buyer. The clause deals with this matter and provides for a statement to be prepared by the Seller setting out the various adjustments which are needed. The Buyer will then either agree a statement or else the final adjustment will be decided by an independent party. Since the apportionments will only be finalised after completion, either the Seller or the Buyer will have to pay the appropriate adjustment to the other. The final sub clause provides for interest on late payment. An alternative to our wording would be to refer to interest being payable on the overdue amount ‘at the statutory rate calculated in accordance with the Late Payment of Commercial Debts (Interest) Act 1998’. This applies in the UK and the rate is 8% p.a. above Bank of England base rate. It is usual practice for English solicitors preparing this type of agreement to include a long schedule containing numerous and extensive warranties which the Seller gives to the Buyer. Our contract contains an extremely brief set of warranties, and advice should be taken on whether the clause is sufficient for the circumstances in which this contract will be used. The purpose of the warranties is to give the Buyer assurances that there are no undisclosed problems or potential problems with the business which he is buying. Warranties are therefore, very important. Since almost every business has a few surprises, the agreement contains provisions for a Disclosure Letter to be prepared. This is a letter from the Seller to the Buyer informing the Buyer of specific matters which, if they were not disclosed, might affect the price which the Buyer is prepared to pay for the Business. The Disclosure Letter will therefore contain, for example, details of any legal proceedings, insurance claims, informal arrangements with a third party concerning the occupation of premises belonging to the Business and, any difficulties with customers or suppliers etc. There are sometimes limitations on the liability of the Seller for any breach of warranty inserted in the Agreement For example, the clause could contain a statement that the maximum aggregate liability of the Seller for breaches of warranty will not exceed £50,000. It is usual for both parties to be subject to confidentiality undertakings with regard to information which they obtain from each other and this clause sets this out. This clause contains a number of so-called “boilerplate” clauses. For more information on boilerplate clauses there is a note on our website in the Free Information section (Z159). It is usual for any agreement of this type to have a clause, which specifies in some detail how a formal notice is to be communicated by one party to the other. A clause in this form is very simple, providing that English law governs this agreement, and that the English courts have jurisdiction over all disputes. There are many ways in which disputes can be resolved apart from the courts and our website under Free Information contains some notes on Governing Law (Z139), Arbitration (Z138) and Alternative Dispute Resolution (Z140).